It's vital that the hard of hearing can continue to live their lives, and being able to have conversations and hear the television may seem trivial, but it's a key part of everyday life. The Sarabec Crescendo 60/2 Headphone Listening System is ideal for use in listening to your radio, TV or conversations with family and friends. The battery powered amplifier is designed to receive sound from various sources and amplify it to just the way you like it, without disturbing anybody else. To ensure that the sound is right for you, the Sarabec Crescendo includes a built-in volume and tone control, enabling you to set the audio just right for your needs. 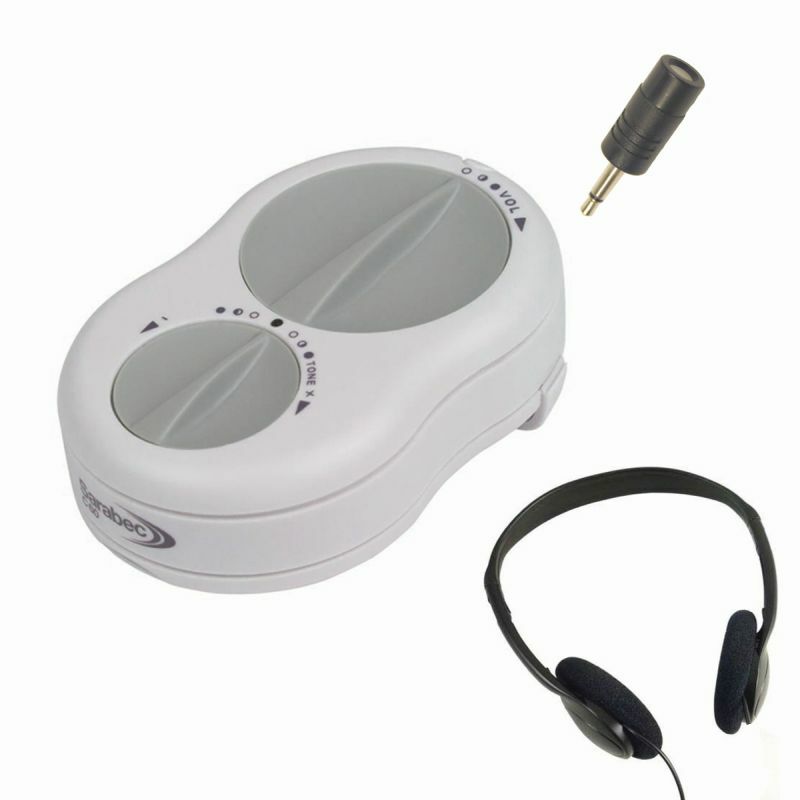 The listening system works by picking up the sound of a television or radio, amplifying it via the built in microphone and sending it to the included headphones. This enables you to clearly and easily engage in conversations and hear the television – ideal for a family setting. The lightweight and discreet design of the Sarabec Crescendo 60/2 makes it easy and comfortable to use on a regular basis. The belt clips makes it easy to attach to clothing so that device can stay on your person and easily accessible for when you need it. We chose this aid for my elderly father who was finding in-ear devices with small controls too fiddly. It works like a dream, finally enabling us to communicate with him. Our only problem was that we found the instructions quite complicated and the typeface was small – Dad certainly wouldn't have been able to manage the setup on his own.